Craigslist ad calls on anti-Wall St. protesters for the reality show's 27th season. For "Occupy Wall Street" protesters lamenting their unemployment, here's a chance for a job in reality television. A Bunim/Murray spokesperson tells the Los Angeles Times that the ad does not mean they'll definitely be casting an "Occupy" protester -- they're looking for fun, eclectic people in general to bring together for the show. MTV may not be the only entertainment company looking to cash in with the help of the growing movement. Sources tell the Los Angeles Times that director Christopher Nolan is travelling to New York to shoot scenes for his third and final Batman movie, "The Dark Knight Rises," with the demonstrations in the background. Warner Brothers confirmed two weeks of New York City filming beginning Oct. 29, but could not elaborate further. The casting call for the shoot says characters will inhabit "a city besieged by crime an corruption," the paper reports, so the "Occupiers" would probably fit in quite well. 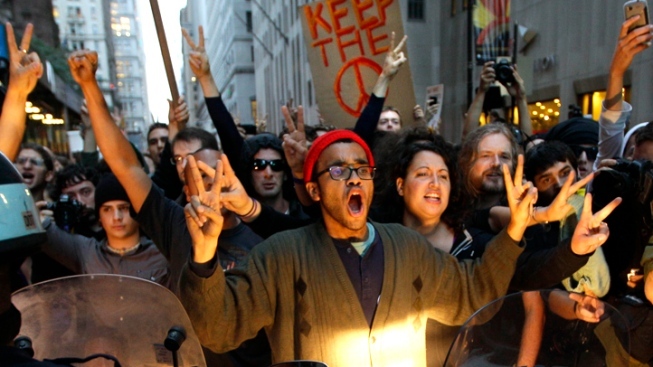 Do you think the "Occupiers" will sign up for the casting call in hopes of a much-needed job? Or will they dismiss MTV as one of the corporate giants they are so angrily protesting against?